Michael Grandage first season in West End included John Logan's wonderful play Peter and Alice with a marvellous Judi Dench and an impressive Ben Wishaw and was an insightful, delightful and magical exploration of the lives of JM Barrie and Lewis Carroll. 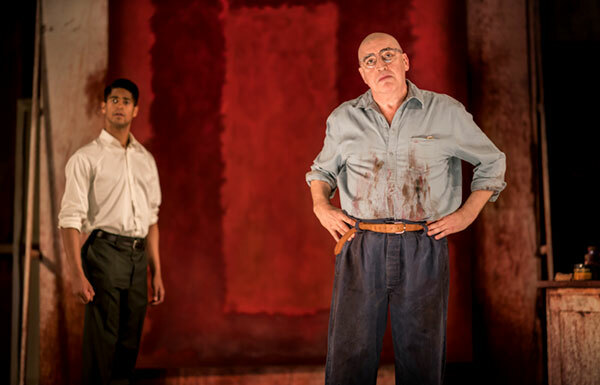 The same production team have now revived John Logan's play Red about an episode in the life of the artist Mark Rothko with the equally marvellous Alfred Molina. 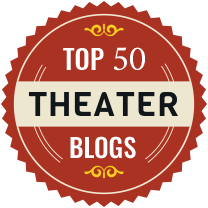 We therefore have an expectation of another excellent engaging production but somehow it falls short, not because of the actors or Grandage's direction but the weaknesses in the script and story itself. 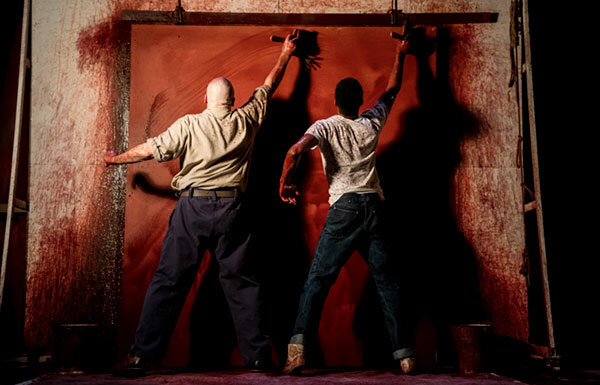 Set in 1958 when Rothko was commissioned to produce a series of murals to adorn the walls of a swanky elitist new restaurant in New York and engages for the purposes of this play an imagined assistant, Ken. 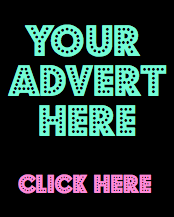 Their relationship over two years is used to explore the purpose and meaning of his art and explain his real life decision to reject the commission and return the advance. Ironic really as his paintings now sell for multiple millions to the very elite and corporate buyers who might have used the restaurant. Christopher Oram once again designs an impressive setting of the artist's windowless studio full of detailed painting paraphernalia and together with the lighting designer Neil Austin, creates the few truly dramatic insightful moments of the play. When the bank of fluorescent lights are switched on we see clearly the dramatic effect on how we view his art which becomes dull and flat losing its vivid pulsating impact in the glare of general lighting. When the two actors paint the ground wash onto a blank canvas in a beautiful synchronised movement we see both their relationship and the painting begin to emerge. 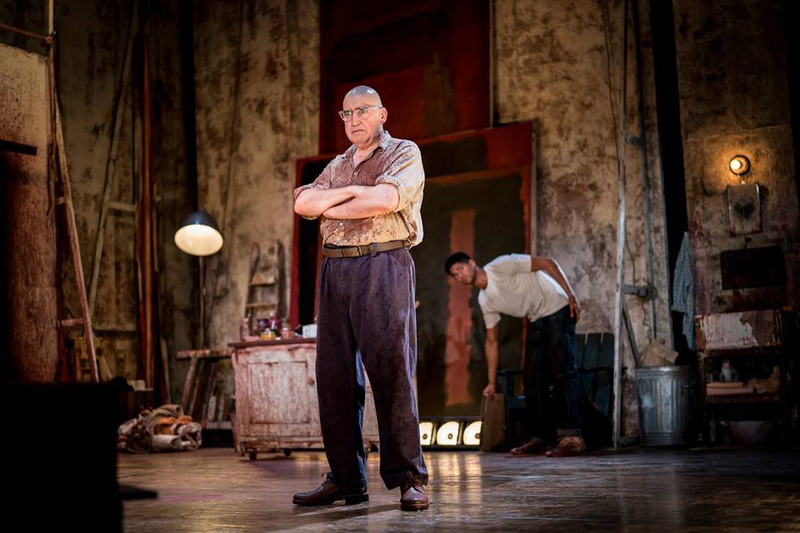 And when in the half-light we see Rothko lifelessly sat next to a bucket of paint we share Ken's reaction. Between these moments we have a wordy diatribe about his art punctuated by long periods of silence as time passes and they reset the paint frame with a darker version in the paintings series .We never see Rothko start to add the layers of paint to create his work, but we learn that he spends much time just looking at them. 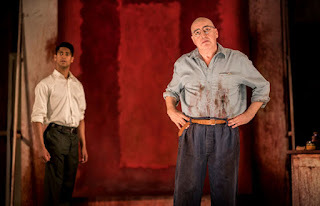 Of course Alfred Molina is magnificent as the intense worthy Rothko and Alfred Enoch makes a good West End debut as the contrasting foil to him, Ken but Logan never really fleshes out their relationship and Rothko's ranting lists of colours or artistes seem artificial. We do get a sense of Rothko's intense self obsessed personality and searching intellect and Molina inhabits the character completely. 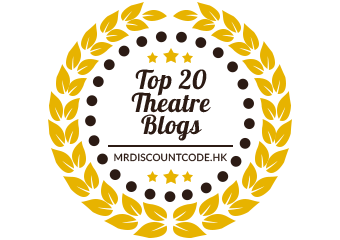 of his work and also the different tastes of the two men through their selection for the old record player in the studio although it does become irritating that as each vinyl record is replaced the previous one is tossed casually in a pile on the floor without re-sleeving it. When they first meet Ken is asked what he sees in the painting and he says red much to the artist's distain but two years on when asked the same questions he says the same thing. Is he being ironic or like us has he learnt nothing about the man's work in the intervening period?